Congratulations to Eddie Gatner who was re-elected at the AGM as 1st XI captain. Asim Ahmed again captains the 2nd XI, with Azhar Javed taking on the challenge of the 3rd XI. Raja Tufail, Rizwan Ullah and Qasim Ahmed are the respective vice captains. This week sees Kwik Cricket taster sessions running in the Musselburgh primary school cluster. Hopefully we'll see some of these boys and girls along to our Kwik Cricket sessions in the spring, if today's session at Stoneyhill PS is anything to go by there's some great talent out there. Musselburgh 1st XI are champions of East League Division 2, finishing with a 100% replicas de relojes de lujo españa record. 2011 has been a season of highs and lows so far. An early season bonus was the return of former club captain Kevin Dilly, who has moved back to Edinburgh. With the addition of one or two new faces the 1st XI hit the ground running this year, looking to put the frustration of last season's controversial end to the league season. And with 3 weeks to go, promotion is still firmly in the team's own hands as they sit undefeated at the top of Division 2. 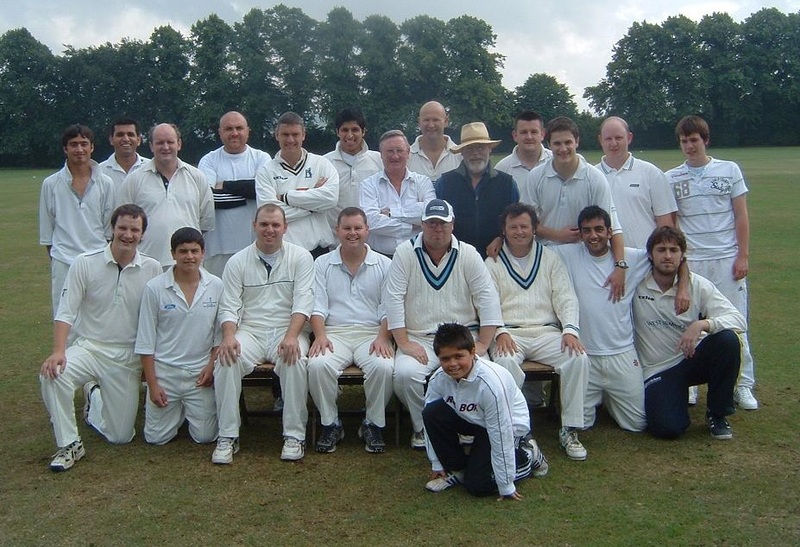 The 2nd and 3rd XIs have endured a tougher time, with player unavailability (Asim and Qasim missing chunks of the season while overseas) and some injuries (Hemant, Huw, Kevin) meaning several 2nd XI mainstays have been pulled into the 1st XI. Results suffered, but the 2s have usually not been far off victory as several close finishes went the wrong way. A strong finish is required to stave off relegation from Division 4. The 3s had the 2nd XI problems magnified onto them, and unfortunately have had to concede three fixtures. Narrow losses to the top 2 teams in the league (one of which we played with only 9 men) showed what might have been, and the 3s will hope to finish well to restore some battered pride. orologi falsi concessions and overturned results due to elligibility issues; a sloppy first round defeat in the Activcity T20; and a valiant but dignified defeat to eventual winners Carlton in the Masterton Trophy. 2011 promises to be an interesting season for Musselburgh. Last season was an 'if only' year, with only 1 trophy to show for 2 strong league campaigns and 4 cup semifinals. While external factors conspired against us on several fronts, hopefully we can prove on the pitch this year that we are better than our results showed last year. Positives for this year are the new pavilion, ready for use at last; the continuation of the 3rd XI after their debut season; recruitment of several new players and the appointment of new office bearers after a delayed AGM. Several players have moved on to pastures new for 2011, with the return home of several Indian students and emigration of last year's club captain. Our outoing secretary has also hung up his boots, and there will be some great competition within the club for places in our 3 league XIs. With the season at the halfway point, things are going well for the club. The 1st XI are sitting in second place in Division 2, with the 2nd XI 5th in Division 5. Both divisions look like going to the wire, with little to choose between the top sides in either division. The 3rd XI have performed well too, turning out sides every week so far and picking up 3 wins along the way as well as averaging almost 9 points from each defeat - an excellent start. The cup competitions are also going well, with places in the quarter finals of the President's Trophy, Activcity T20, Parks Trophy and Terry Newcombe Trophy secured. The ties for each of these compeitions are due in the next couple of weeks. Off the field the new pavilion is nearing completion and is looking good. 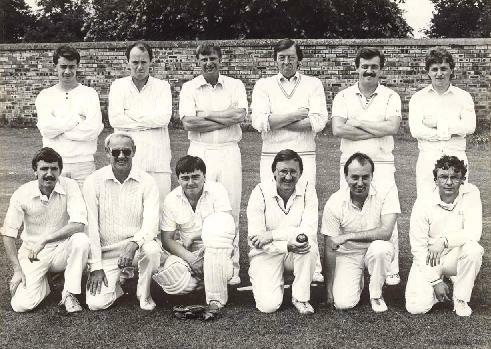 After recently appearing on the BBC website, Musselburgh CC now appear on the Cricket Scotland website. This time, however, the focus of the article is on the recent on-field success that the club has experienced. Any further media agencies interested in our fine club please contact our "Media Liaison Officer" through the Contact Us Tab!!! The Roman remains found at Lewisvale Park during the excavations for the new pavillion are quite an important find. The following link onto the BBC website is from a press release by East Lothian Council. Foundation work has restarted. Hopefully this will not cause a long delay to the project.